Whether it’s a large corporate function or small family gathering, get everyone together at a conservation area near you. Groups of 20 or more are recommended to inquire about reservations at 1-800-367-0890 or recreation@cvc.ca – please write park name in subject line. Additional items can be added to your reservation to make your event more convenient. 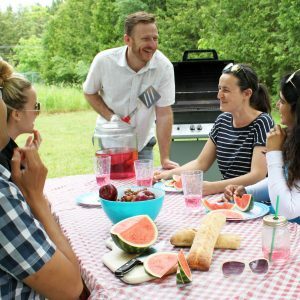 This large conservation area conveniently located in Orangeville has many picnic tables spread throughout for family get-togethers, company picnics or birthday celebrations. Can accommodate up to 1200 guests. This spacious conservation area conveniently located 45 minutes from the GTA is a great choice for your next event. Terra Cotta boasts 504 acres of greenspace, a variety of pavilions and tables are available with an impressive view. Can accommodate up to 400 guests. Watershed Learning Centre available for indoor events for up to 60 people. Please contact julia.kole@cvc.ca for more details. This area is divided into two sections. Picnic areas are accessible from 1080 Derry West Road. The City of Mississauga manages and reserves sites at this area. Groups in excess of 25 require a park permit. Obtaining a picnic permit ensures exclusive use if that area and its amenities. Please call 311 within Mississauga and 905-615-4311 from elsewhere. There are 3 areas to choose from that accommodate up to 100 guests.